In writing and preparing the music for his remarkable new solo acoustic guitar album, Julian Lage battled one of the perils of musicianship that hasn’t been exploited in a Hollywood biopic. The end result of Lage’s persistence, World’s Fair (Modern Lore), bears out his ethos of efficiency and simplicity. Though he does manage to flaunt his technical mastery of the guitar, it’s Lage’s composing and arranging, full of memorable melodies, that forge the album’s deepest impressions. The late Garry Harrison’s “Red Prairie Dawn,” with its Aaron Copland-like lift, is a reminder of American folk music’s Gaelic roots. “Gardens” stands up next to the most stunning solo arrangements to emerge in the wake of John Fahey, and that trailblazing guitarist is one of many baby-boomer cultural touchstones that World’s Fair implies. Although it isn’t a jazz-guitar record per se, it does summon up memories of a certain type of ’70s-era jazz fan, inquisitive but unpretentious. If the album were released by Columbia back then, it’d fit comfortably among LPs by Metheny, Ralph Towner, Leo Kottke and Keith Jarrett inside the turntable console. Lage is correct that World’s Fair both does and does not represent a culmination of his creative life. Like many musicians with at least a decade of recording credits, he’s done too much and his interests are too wide-ranging for a single album to credibly define him. Yet only Lage, whose upbringing as a child prodigy took place squarely between opportunity and humility, could have produced a guitar album of such accomplished charm. 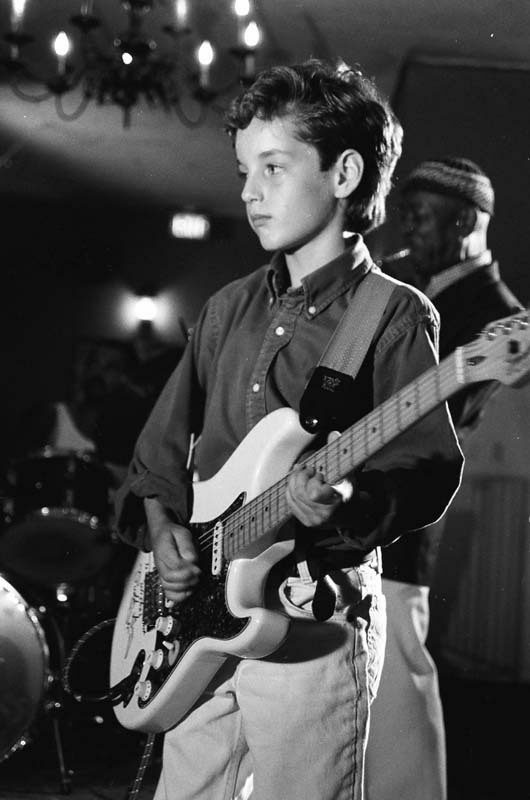 If you type “Julian Lage” into YouTube’s search engine, you’ll find a clip featuring the guitarist, in 1996, soloing alongside Carlos Santana for a crowd of thousands at an amphitheater in Concord, Calif. The song is the Funkadelic classic “Maggot Brain,” a rock-guitar litmus test, and Lage, cute and composed in a blazer and T-shirt, plays brambles of blues licks on a Fender Stratocaster. The audience collectively loses it whenever the 8-year-old begins to play, though it doesn’t shake him. He’d been working toward this moment for a year, and he executes like a pro. Today, Lage can’t recall much about being onstage that evening, but he does remember the circumstances that led up to his sitting in, and they’re revealing. Through a good word from a friend of his father’s, he’d met and played for Santana backstage in Concord the year prior. Impressed, the iconic guitarist had invited him to join the band onstage for a song that night. “My parents and I talked about it and we said no,” remembers Lage. “[To] be an 8-year-old in front of 20,000 people, thinking you were just going to hear a show, that could really mess you up, or at least put you in an uncomfortable situation. “[People] can ask a lot of questions, like, ‘Aren’t you proud?’” Mario says in the film. “One that comes up a lot is ‘Do you sort of feel like you’re his manager?,’ which I find detestable … because that’s a relationship founded on exploitation, not really what you feel for your child.” Lage’s voiceovers parallel his playing in their curious maturity, and in one scene his measured sensitivity to schoolyard politics is almost heartbreaking. “Most of the girls in my class,” he says, “they think all the guitars I get, all the music I get, they think I’m spoiled, which is not true. I don’t know why they do this, but sometimes I’m just walking to somewhere in my school and they’ll just hit me for some reason. I don’t know if it’s because of my music, or they don’t like me. [It’s] very odd.” In his tiny voice, the young Lage claims that the one person at school who does understand his favorite music is the janitor, a fan of John Coltrane. His father’s desire to protect his son, Lage explains, stemmed from his personal boyhood experiences as a visual-arts prodigy, who exhibited his work seriously before his teens only to move away from it later on in his adolescence. “He liked it because it was his, and then it became everyone’s,” Lage says. But more than a guardian, Lage’s father was also his son’s first, and probably most profound, teacher. As if following instinct, Mario developed an effective pedagogy, even though he only started playing guitar the year before his 5-year-old son did. So Lage wouldn’t become discouraged, his father started him on the easier-playing electric guitar over the acoustic. Instead of a song, the boy’s first lesson consisted of an A-minor pentatonic scale; if a song came up short of its recorded version, Mario’s thinking went, that might also dishearten his son. After Lage got a handle on the physicality of running the scale, his father analogized the concept of narrative phrasing by pouring out a glass of water in fits and starts. 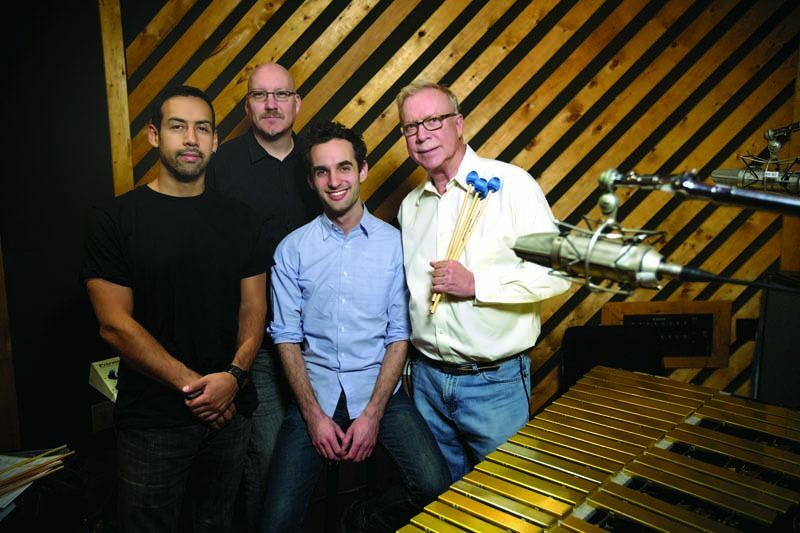 In 2000, Lage appeared on the Grammy Awards telecast, in a youth band featuring other future luminaries, among them pianist Eldar Djangirov, bassist Matt Brewer and drummer Tony Royster Jr. On an uptempo “Straight, No Chaser,” he took a brief but impeccable solo—so spot-on, in fact, that it caught the attention of one of that year’s jazz winners, Gary Burton, the vibraphonist and educator with a knack for fostering history-making guitarists. This would be the mentorship that introduced Lage to the larger jazz world. Due in part to wisdom received from Burton, Lage didn’t release his first album as a bandleader, the Grammy-nominated Sounding Point, until 2009; he was 21, and had graduated from Berklee the year before. The restraint served him well, and on this album and its 2011 follow-up, Gladwell, he comes across as fully formed. 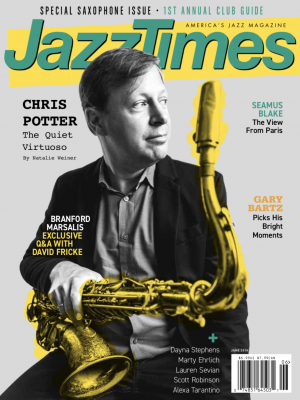 His foremost influences, from Hall to Django to Tony Rice, are evident but not obvious, throughout original songs that are circuitous yet consonant and arrangements that dramatically break down and build up. Lage’s playing is deadly precise but unencumbered, evidence of heavy-duty education balanced by bandstand time. (Lage claims he’s only transcribed two solos in his life, opting to absorb his favorite solos and attempt to recreate their spirit rather than their specific notes.) More than anything, these albums defined Lage by showcasing what he isn’t, or what he offers an alternative to—for one, the hulking influence of Kurt Rosenwinkel, a brilliant guitarist-composer whose myriad young copycats have spilled into New York for the last 15 years. Because he matured so early, Lage’s points of reference are older, and more in line with a musician currently in his 40s, like Rosenwinkel himself. 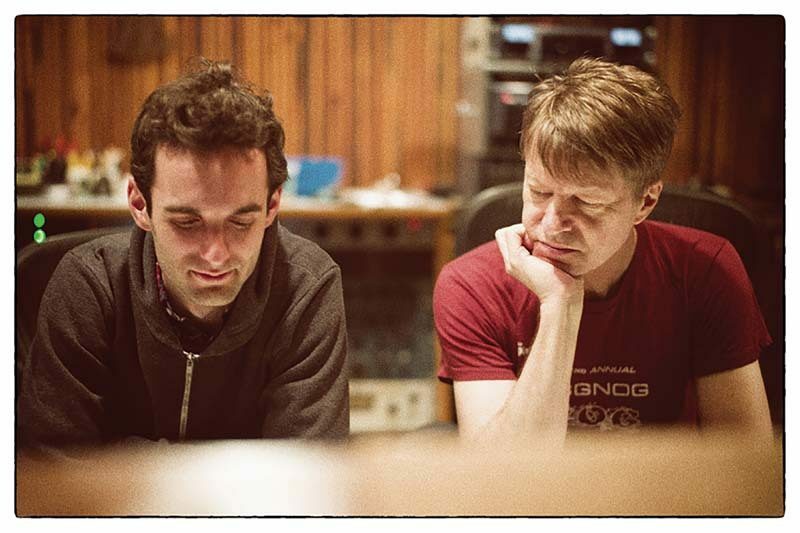 Room, with the avant-garde and rock guitarist Nels Cline, arrived last year, and it’s an often finicky, hard-angled session that could be considered a sort of anti-guitar-duo guitar-duo record. As Cline explains it, this music has little to do with guitar duos that came before it; rather, its aesthetic better resembles the cool-tempered, chamber-like take on the early jazz avant-garde explored by Jimmy Giuffre, Shorty Rogers, Shelly Manne and others. There’s more there—languid acoustic composing by Cline, plus some true-blue jazz guitar conventions—but the scurrying unison lines and constantly dialoguing improvisations are what stay with you. 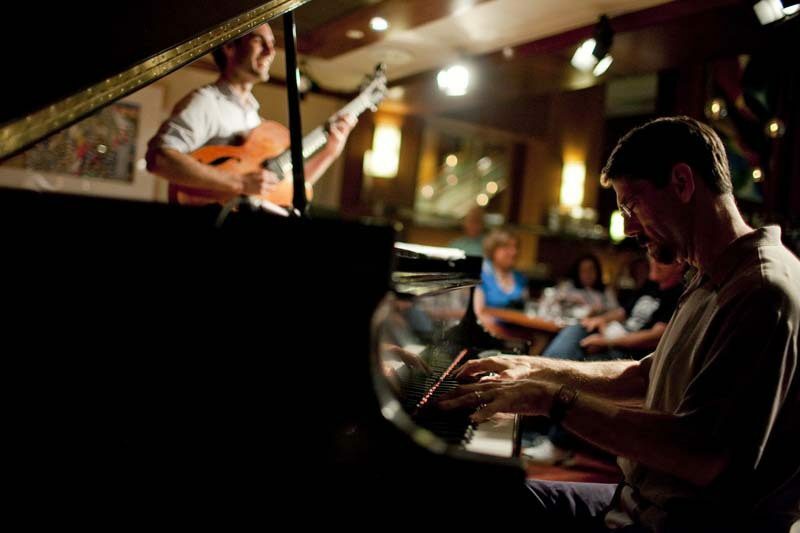 Because of this, it offers an unobstructed look at Lage’s penchant for improvisational surprise grounded in serious harmonic knowledge—a defining characteristic of Jim Hall that Cline associates with Lage. Room also feels like one of Lage’s truest collaborations, with nary a hint of deference toward a colleague who is a much-older pal but certainly not a mentor. “The only time he’s ever sought my advice that I can recall is about effects pedals,” laughs Cline, a masterful orchestrator of guitar stompboxes. Lage has journeyed into electronic effects, and in drummer Eric Harland’s band Voyager he often employed a wizardly looping trick. He’s also enjoyed still-climbing success with bluegrass scion Chris Eldridge, of the Punch Brothers, in a vocal/guitar duo at home in the Ryman Auditorium. 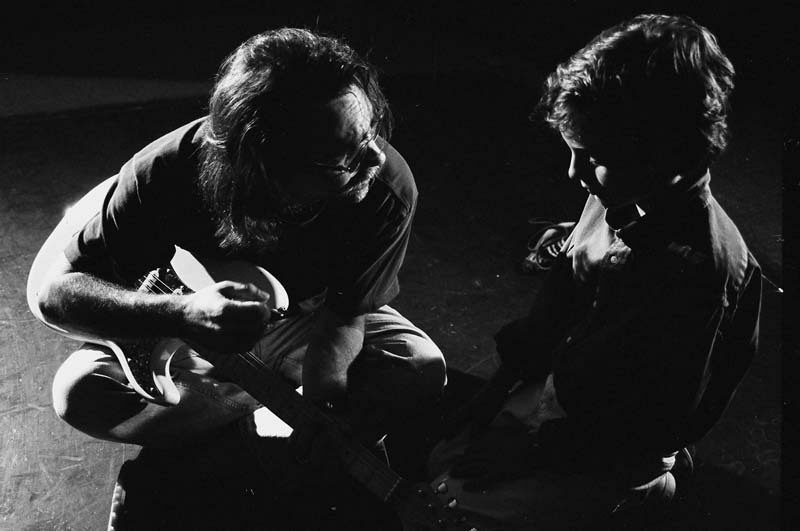 There have been recording sessions with Yoko Ono, and skronky sets with John Zorn, not to mention a residency at Zorn’s Downtown venue the Stone. Lately, Lage has been enamored of trio music, and of lap-steel history, and of Fender Telecaster-style guitars, the finish line in his search for “the most austere instrument.” He says his next disc will document his working trios.